The selfie: on a slow day, I probably see twenty while skimming social media. Other days, I am sure that number is in the hundreds. Recently on Your Shot, National Geographic staff photographers Mark Thiessen and Becky Hale ran a Self-Portrait assignment. I can’t say I was particularly excited about the assignment at first. The advent of the selfie had left me with some misconstrued ideas about how unoriginal it is to turn the camera on yourself. A selfie is one of the easiest images you can take—after all, many people have a camera lens facing them every time they check their phone. Selfies are a way to show off a new haircut or your favorite outfit. They are a way for a group of people to take a photo without having to talk to a stranger. At one point, the self-portrait became more than just a portrait of myself. I started to look beyond what I saw inside the mirror, searching for my one and only identity. I noticed that while trying to showcase our multiple selves, we tend to peril our individuality, and it becomes more and more difficult to embrace our uniqueness. I called these multiple selves “shadows.” Doppelgängers. Perhaps things we want to be but we’re not. Whether shot at arms length or reflected in a mirror, selfies have become such a common image for me to see each day that I almost forgot the beautiful and vulnerable place from which they originated. Of course we saw some pretty classic selfies while editing the assignment. And they too have their time and place. But by week two of the assignment, I was beginning to feel reinvigorated by a phrase I had left out of my vocabulary for far too long: self-portraits. 30 years ago I reveled in my youth and beauty. 30 years ago I bought my first camera and took a self portrait, feeling powerful and new. 30 years ago nobody told me that age comes with a kind of aching grief for the loss of your youth and beauty. 30 years went by so fast, but I still feel like that young girl inside. A moment caught with a self timer one afternoon with my son. Self-portraits are not selfies. They are beautiful and revealing. The good ones are extremely difficult to make. After sifting through thousands of these images, I was astounded to see that the final edit was, essentially, faceless. I didn’t need to see someone’s face to learn about their essence—Ocean’s battle with cancer, Katrina’s struggle with aging, Amanda’s four-decade love for baking. These images reminded me of why I loved studying self-portraits during my first photo classes in high school. They are about artists, showing themselves in the way they want to be seen—revealing something deeply personal, illustrating something they cannot explain with words. I noticed the beautiful shadows on the wall of the pool while it was being drained and had to insert myself into the scene. My eight-year-old eyes couldn’t believe it when the first loaf I baked emerged perfectly from the oven. Just like in the book I had checked out at the library. Forty years later, I am still enamored with bread and the process of making it. 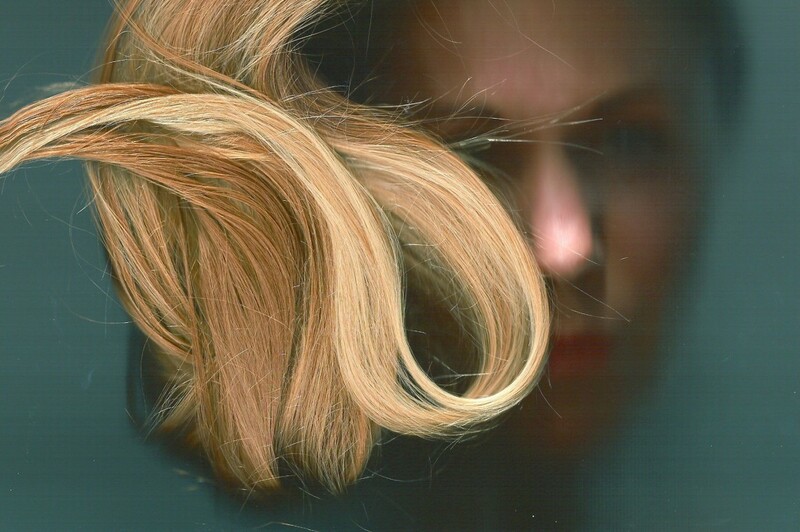 All of this reflection started quite a discussion in our office about self-portraits that we have loved—Janna remembered Maynard Owen Williams’s reflective self-portrait and Coburn shared Cindy Sherman’s Untitled 96. In recent memory, I took interest in Kyle Thompson’s work. This project revitalized my love for those raw and revealing moments when a photographer turns the camera on themselves. Sometimes I experience a disconnect, a sense of confusion as to who I am as an artist. This mentally clouded state is emotionally draining. I enter into a state of isolation, brought on by my own uncertainty. This photo was inspired by my own lack of confidence in my artistic abilities—both the development of my own style and the meaning behind my photography. This is one of many intimate self-portraits taken in 2011 during my battle with Stage IV Hodgkin’s Lymphoma, a blood cancer. While undergoing chemotherapy treatments hoping for a cure, self-portraiture/photography was my personal choice of weapon used to fight and to heal. The image depicts my awakening to my new reality and uncertain fate. Today, I’m happy to say I am cancer free! Visit the Your Shot story “Self Portrait” to see the final chosen images.